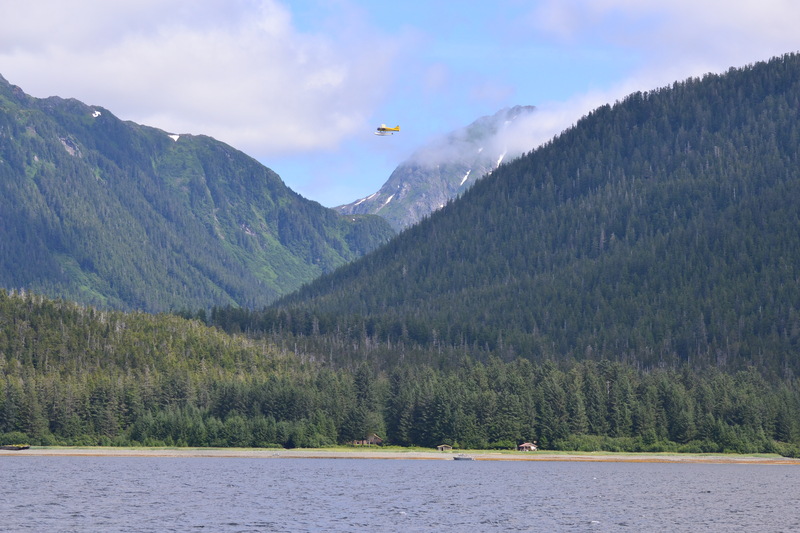 We have planned a late departure to arrive in Mirror Harbor at high slack as the passage inside the anchorage is too shallow at low tide and very narrow as well, under 10 yards at times. We arrive there right on and get very disappointed to find the passage completely obstructed by thick nodes of intertwined kelp. No way we can pick a way through that and avoid the rocks so we have to turn around. Unfortunately, this is the only place to anchor to reach the White Sulphur Hot Springs so we have missed the spa. We go on to Didrickson Bay but have no luck dropping an anchor, the charts are completely unreliable and the bottom is bad so we end up in Pinta Bay, a lovely sheltered spot . 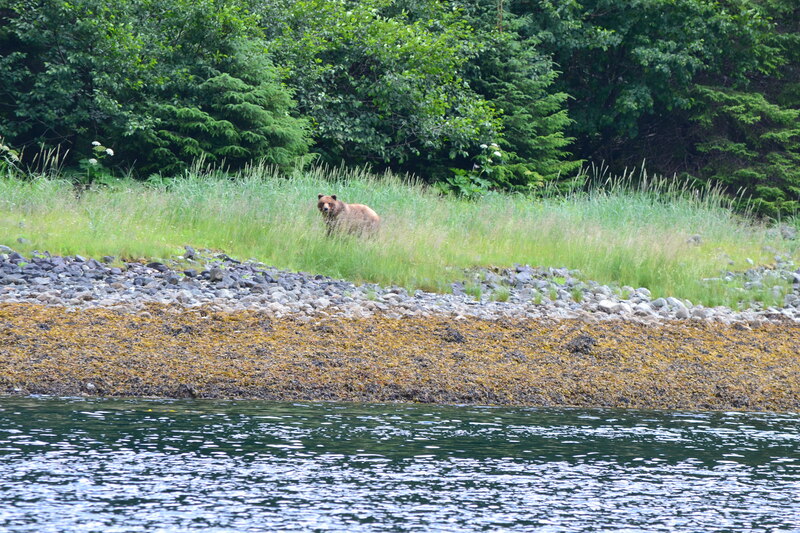 The day was still pretty good with sighting a brown bear between North Lisianski Inlet and Snag inlet. And the scenery is quite lovely with the open Pacific (today) ocean and rock gardens everywhere. 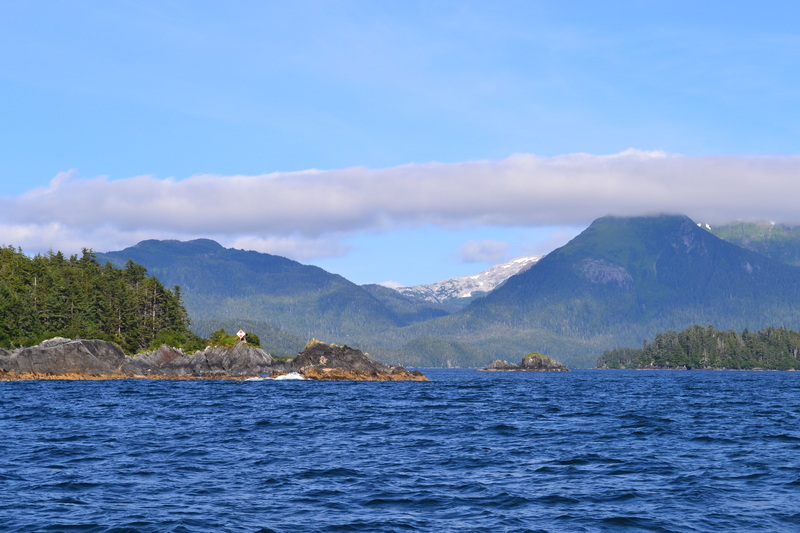 Not unlike south of the Brooks peninsula and the Bunsby Islands on the west coast of Vancouver Island. 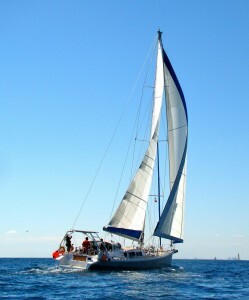 This entry was posted in The Log and tagged alaska, Mirror Harbor, Pinta Bay, sailing, sailing. Inside Passage, White Sulphur Springs. Bookmark the permalink. Better to take the long way and be safe! We are still in a heatwave here but promise of cooler weather tomorrow after chance of big thunder and wind storm tonight. Wishing good weather for you guys! That’s a lot of work to find a place to sleep at night!